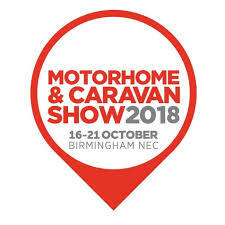 The MOTORHOME AND CARAVAN SHOW 2018 will take place 16 – 21 Oct 2018. Don’t miss your chance to be part of the most exciting and biggest launch event of the year! Be one of the first people to see the new and exclusive leisure vehicle, outdoor accessories and caravan and camping items.